First on my list is INFIDEL, the credit for this supernatural work of art goes to the writer by Pornsak Pichetshote, Artist by Aaron Campbell, Colorist, Editor Jose Villarrubia, and Letterer and Designer Jeff Powell (Published by Image). This supernatural horror story follows the protagonist Aisha a Muslim American woman experiencing haunting visions after she and her fiance Tom move in with his mother. The horrific visions she’s having are tied to a possible terrorist bombing that happened in the apartment building they are living in. INFIDEL is a fresh take on the supernatural and demon-possessed side of horror. In the author's notes at the end of each issue, he shares a unique insight into his experiences as Thai American born in New York to immigrant parents. He also speaks about the current state of inclusion of creators of all ethnic backgrounds being embraced in entertainment today. The write-in comments from fans of the comic speaking about how the can relate to everyday experiences in the comic are insightful too. It goes to show when you take your personal experiences and inject them into your stories you give it a life that other people will identify with. 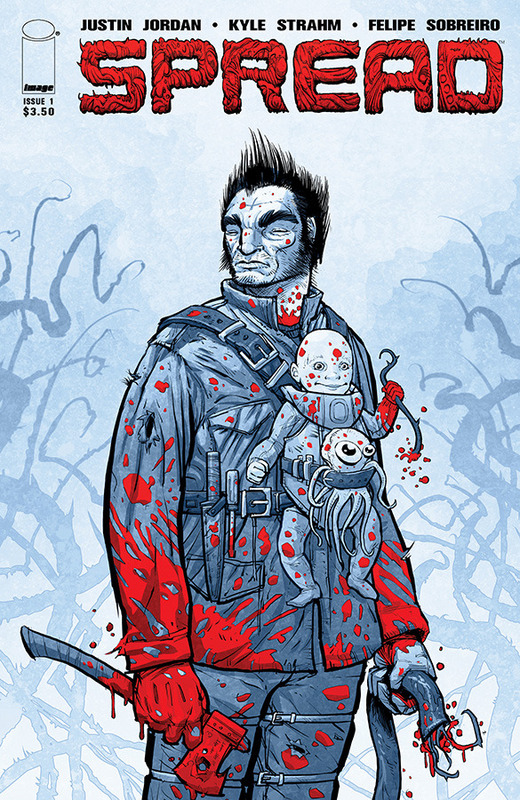 Next up on my list is SPREAD, a post-apocalyptic John Carpenter’s The Thing meets Mad Max. Also published by Image, the creators responsible for this end of the world journey are Co-Creators Justin Jordan (Author) and Kyle Strahm (Illustrator). There is also a period in the comic that focuses on featuring guest artists. Some of those issues were a bit jarring to read at first but I ended up enjoying what the gory world of SPREAD looked like through another artist's eyes. The story in SPREAD starts ten years after an ancient creature was dug out of the ground. It proved to be uncontrollable and fused itself with everything it came into contact with. It became known as The Spread. Mankind lives in fear in small quarantine zones until one man finds the key to defeating the spread. A baby girl named Hope. You’re going to enjoy the situations and characters you meet along the way in SPREAD as the protagonist tries his best to keep Hope alive to save the world. Only one issue of SPREAD has been released in 2018. However, the series started in 2014 so there are 24 issues or 3 Trade Paperbacks (TPB) volumes for you to read if you’re interested in SPREAD. 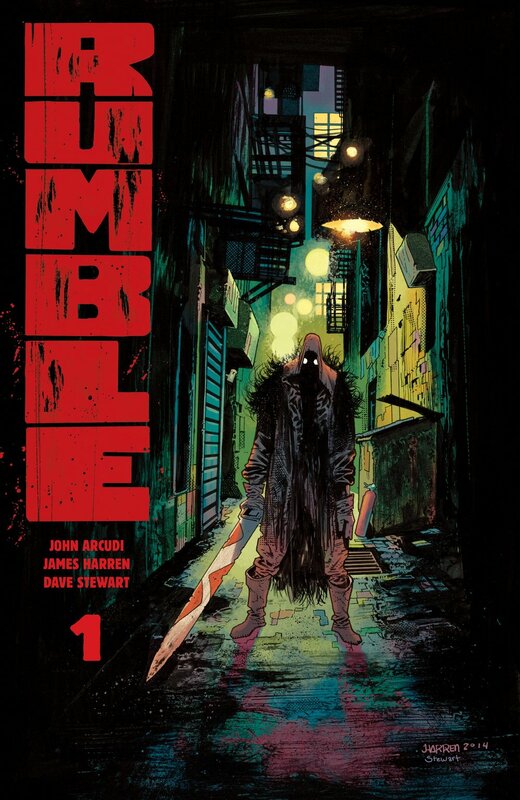 Number Three on the list is RUMBLE, by co-creators John Arcudi and James Harren. Surprise this one is published by Image too. I hadn’t realized so many of the comics I read are Image Comics until now. Anyway, let's get back to RUMBLE. The story is more of an action/adventure/fantasy/thriller than horror, but there are monsters in it. It’s a fast-paced adventure following the resurfacing of Rathraq, a Scarecrow Warrior God, whose comes to a modern American city to settle a ten-thousand-year-old grudge. Imagine a couple average guys hanging out at their local dive bar getting swept into a war between a giant scarecrow with a massive sword and some of the most creepy and adorable monsters. The creature design throughout the comic is creative and inspiring. RUMBLE started in 2014 so there’s a nice back catalog compiled into 4 TPB’s for you to read before you catch up to the current issues too. Next up on the list is REVIVAL, a horror-science fiction series created by writer Tim Seeley and artist Mike Norton. You remember how the dead people reanimated as brain-craving ghouls in Night of the Living Dead. Well, what if the dead came back to life seemingly normal? This supernatural occurrence is exactly what’s happening in a rural central Wisconsin town in REVIVAL. The town has been quarantined and the CDC has sent in an expert to help with the investigation. On top of that the protagonist, Officer Cypress must solve the case of her sister's murder. That’s just some of what goes on in volume 01 and the series is already up to volume 08. It’s been on my reading list for some time and I’m finally digging into it. The writer does a great job of portraying how people might react in a situation like the one in REVIVAL. Whether you grew up in a small rural town or not you will find something to connect with in this story. PREDATOR: HUNTER is the fifth and final recommendation in my countdown. I’m writing this the week before the release of the movie The Predator and haven’t watched any trailers or read about the movie. However, I told a coworker about the comic and he said that sounds similar to the plot of the new movie. I’ve been a fan of the Predator franchise since I saw Dutch face-off against the alien hunter in the first movie. 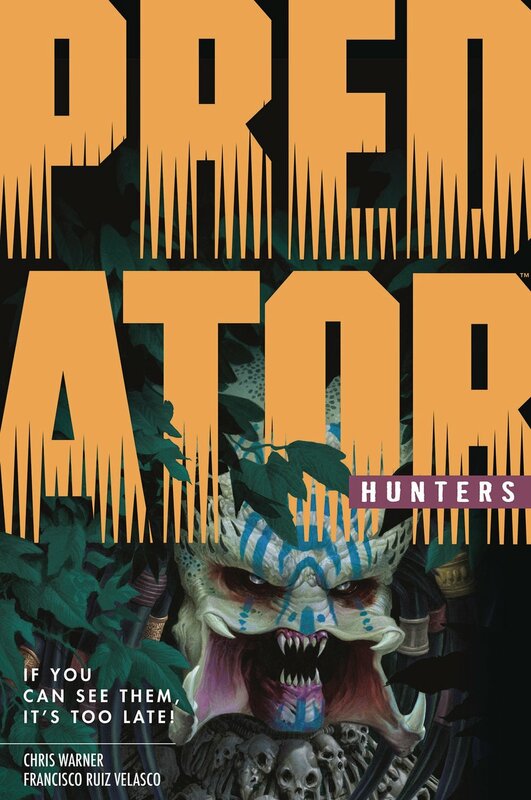 Fun fact before we get back to the comic, the HUNTERS story was written by the artist of Dark Horse's original Predator series. Now let’s get back to the comic. In this story, we follow a group of people recruited for the purpose of hunting down Predators. This group of people also happen to be survivors of Predator hunts so their mission is personal. Writer, Chris Warner, and artist, Francisco Ruiz Velasco, do a great job of capturing this story of vengeance and violence. This series was released throughout 2017 but HUNTERS II is being released throughout 2018. I hope you enjoy reading the comics I recommended. 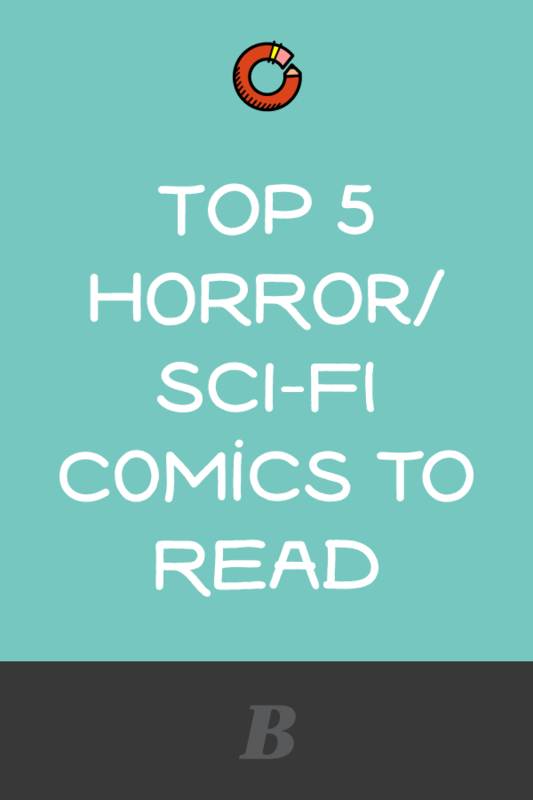 Feel free to share with me some of the comics you’ve been reading. They don’t have to be horror or science-fiction either. I enjoy reading comics of most genre's and especially independent creators. Happy reading and happy creating! PS. I finally started reading American Vampire. If you like vampires (not the twilight kind) and historical fiction I highly recommend you check it out. It was first published in 2010 by Vertigo Comics and created by writer Scott Snyder and drawn by artist Rafael AlbuquerqueIt. Stephen King even makes his debut to writing for comics by lending his creativity to the story in the first five issues. I don’t want to give anything away but the story follows an outlaw turned vampire and everything he touches after he becomes the first American Vampire.